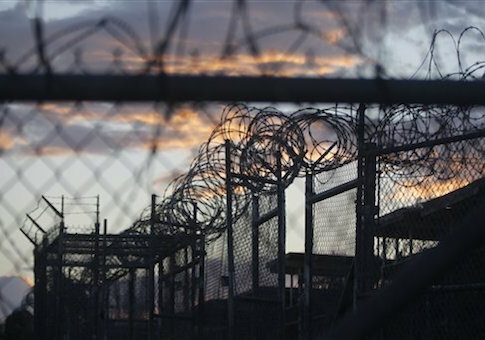 The State Department announced Wednesday that it has added two people to the federal list of designated terrorists, one of whom was once detained at Guantanamo Bay military prison. Ayrat Nasimovich Vakhitov, one of the newly added jihadists, was a former detainee at Guantanamo for less than two years from June 2002 until February 2004 before being turned over to Russian officials in his home country. Turkish authorities recently arrested Vahkitov in connection with the June 29 suicide bombings at Istanbul’s Ataturk airport that killed 42 people. While no group has claimed responsibility for the attack, U.S. and Turkish authorities have said the coordinated effort was likely the work of the Islamic State. The State Department does not mention Vahkitov’s connection to the Istanbul attack in its designation or his past detainment at Guantanamo Bay. The department said he is associated with a Syrian-based terrorist group that has partially folded into ISIS. The rest of its members have sworn allegiance to Jabhat al-Nusra, al-Qaeda’s official branch in Syria. Vahkitov also used the Internet to recruit fighters to Syria, according to the State Department report. The U.S. government also added Aslan Avgazarovich Byutukaev to the designated terrorist list. He serves as a leader for ISIS in Russia’s Chechnya region. The State Department noted that Byutukaev was responsible for directing the 2011 suicide bombings at Moscow’s Domodedovo Airport, which killed at least 35 people and wounded more than 100 others. He has also planned attacks since becoming an ISIS leader, including a failed roadside bombing in November 2015 inside Russia. Vakhitov and Byutukaev will be subject to U.S. sanctions and denied access to the American financial system. This entry was posted in National Security and tagged Guantanamo, ISIS, Islamic Extremists, Islamic State, State Department. Bookmark the permalink.